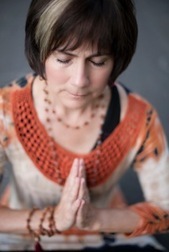 Come and join Pati for an inspiring Sunday morning class. Pati will be joined with live Kirtan from SITARA w/PAVAN KUMAR. This is heart opening asana, and maybe even a little organic celebration and dancing! Class will definitely end with a relaxing Savasana of connecting with the divine.